founded by George Rohac to manage creative chaos. Long Term Career Management - With a goal of consistent quality of life improvements over just monetary ones. This is achieved through personalized involvement in scheduling, communications, branding, merchandising, and exhibiting. Project Management - Crowdfunding Campaigns, Corporate Expansions, and Product Launches are the types of projects we excel at breaking down macro and micro solutions, enabling us to triage your current problems and set long lasting soltuions into place. Jenn is a Texas-born artist living in Brooklyn. They’re passionate about history, sociology, action scenes, and cats. 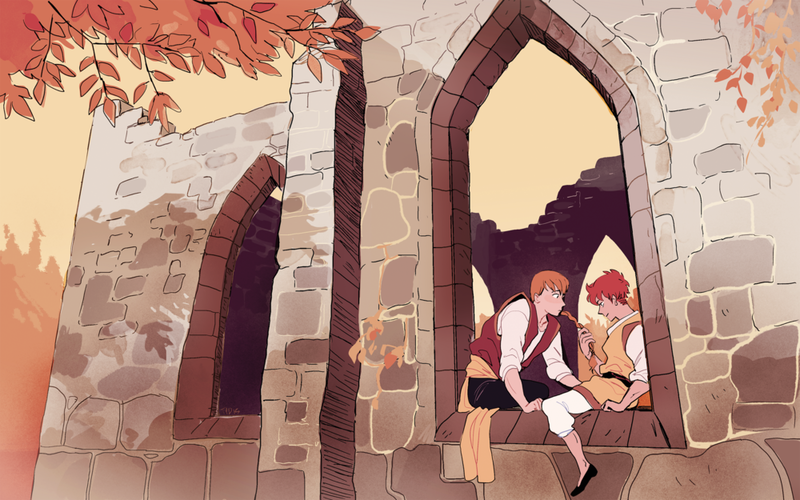 They're the creator behind Knights-Errant, a medieval political thriller. Ru Xu grew up in Indianapolis and received a degree in Sequential Art, Animation, Storyboarding from the Savannah College of Art and Design. She is the creator of the webcomic Saint for Rent, and NewsPrints is her first graphic novel. Her favorite things include historical fiction, fat birds, and coffee-flavored ice cream. Johnny Wander is the creative duo of Ananth Hirsh and Yuko Ota. Their team-up has produced the critically praised autobio series by the same name and the award winning Lucky Penny. Their current series is a comedy drama involving magic and monster men titled BARBAROUS. The creative duo of Brian Clevinger and Scott Wegener. Their primary focus is - Atomic Robo. Which features the adventures and life story of the atomic robot that Nikola Tesla built in 1923 and raised as his son. There's talking dinosaurs, angry A.I., military conspiracies, and sometimes an explosion. Each story arc is self contained so you can hop in and read whatever genre suits you! Ngozi Ukazu is the creator behind CHECK, PLEASE! which she writes and draws. It follows Eric Bittle—former Georgia junior figure skating champion, vlogger extraordinaire, and amateur pâtissier—is starting his freshman year playing hockey at the prestigious Samwell University in Samwell, Massachusetts. It’s a story about hockey and friendship and bros and trying to find yourself during the best 4 years of your life. Tess Stone is a cartoonists and writer out of Los Angeles. His current ongoing comic is Not Drunk Enough. The story follows a quick repair at a huge corporate lab during a late night shift should not have sent Logan into a hellish landscape fraught with monsters, but it looks like Lady Luck decided to give him the middle finger. Logan would like to give one back. Want to work with our long term clients? Have a project you'd like us to work on? Have another question? If submitting a project for consideration please be patient, we try to respond within 4 weeks of submission, but response time can vary.